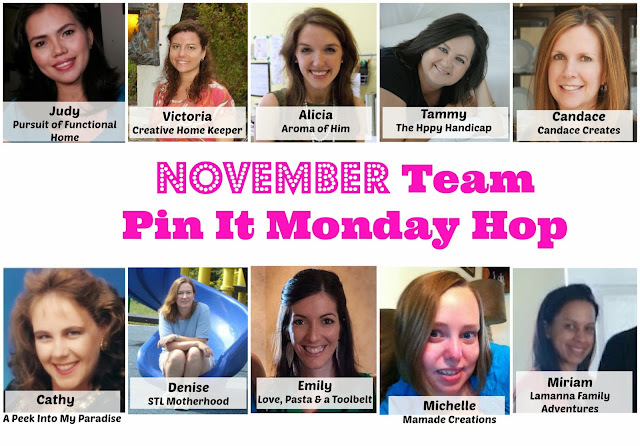 WELCOME TO PIN IT MONDAY HOP #33! I have BIG announcement to all of you my friends! I am Co-hosting at Pursuit of Functional Home's Pin It Monday Hop that happens every Sunday 5pm CST until Friday midnight. Together with other 9 Bloggers, we bring bigger and wider reach for your projects/post. But first, let's quickly get to know these ladies. 10 Blog Sites: Yes! Bigger and wider reach. Your post and projects will be seen at 10 lovely and awesome Blog sites.